OWTU President General Ancel Roget. OILFIELD Workers Trade Union (OWTU) president general Ancel Roget has questioned whether government’s plan to restructure state-owned oil company Petrotrin would see them selling off assets including the controversial World Gas-to-Liquids (WGTL) plant. 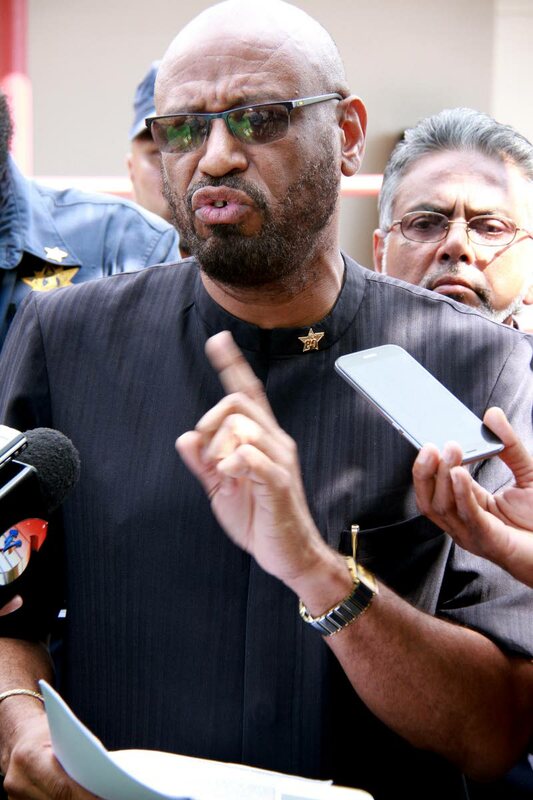 Speaking yesterday at the union’s San Fernando head office, Roget said a “sweetheart deal” to give away the plant to a US based energy company, is evidence of governmental interference in Petrotrin. “Government’s plan is to sell out Petrotrin by parts,” Roget said adding that the union was unable to conduct a “proper evaluation” on the facility although there was a Memorandum of Agreement (MOA) between it and Petrotrin’s Board regarding the union’s input in any restructuring plan for Petrotrin. Of the planned WGTL sale, Roget said, “It has been kept in a shroud of secrecy, a thick cloud of secrecy and we are asking what about the arrangement of gas to this facility, what is the exclusivity arrangement. Is Petrotrin guaranteeing free gas?” In April 2016, Petrotrin won an arbitration victory against World GTL Inc and World GTL St Lucia Ltd (together WGTL) in a case before the London Court of International Arbitration. WGTL sought damages in excess of US$200 million for breach of fiduciary duties it claimed Petrotrin owed them over the failed construction of the facility. WGTL had been in a joint venture with Petrotrin for the construction of a gas-to-liquids plant. Roget yesterday warned government saying the union is willing to abandon the MOA at a moment’s notice and take to the streets to highlight discrepancies at the company. “We entered into this (MOA) arrangement for it to be meaningful and successful, we will not accept anything less than that,” he said. Reply to "Roget: Govt plans to sell World GTL plant"